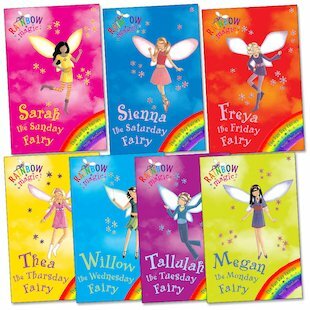 The pretty Fun Day fairies scatter fun into every day of the week – until nasty Jack Frost interferes. He’s stolen their special Fun Day flags, and now all the magic has gone out of things. But when Jack Frost takes the flags back to his ice castle, all the goblins start having fun instead! So now he’s summoned a strong breeze to carry the stolen flags into the human world. Rachel and Kirsty know the magical flags are somewhere nearby – but will they be able to find them?